This topic is fraught with dissent: scientific opinion on homeopathy and creationism seeming relatively clear-cut by comaprison: claims for a prize of $20,000 to disprove the more contentious claims aired in the film were rejected by a panel of respected scientists. The webpage for the movie To Age or Not to Age which opens in New York City on July the 16th is here. If you find this trailer whets your appetite for exploring these issues and you can’t wait to see the movie, this next video is by one of the more controversial figures who speaks in the film. 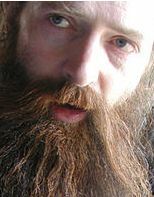 This is the website of Aubrey de Grey‘s SENS foundation. The website of the Singularity Hub blog is where you can find blog postings giving details of his talk: it is in fact an interesting news site with regular coverage of many innovation topics including robotics and biotechnology. The Singularity University website gives details of their venue and organisation (based in the NASA Ames Research Park, in California) which hosted this talk and hosts many other events of interest to those following developments at the leading edge of technology.